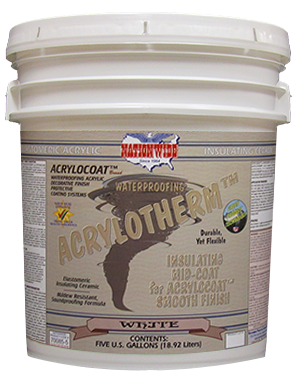 Insulating Ceramic, Mid-Coat Urethane | Nationwide Coatings Inc.
WHAT IS ACRYLOTHERM™ SMOOTH INSULATING CERAMIC MID-COAT? 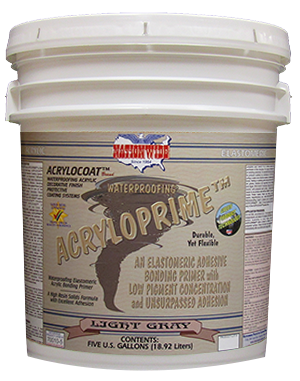 ELASTOMERIC acrylic urethane maximum ceramic content mid-coat to add increased ceramic energy saving performance. An optional upgrade to be used after ACRYLOPRIME™ and before ACRYLOSEAL™ or ACRYLOSATIN™ smooth finish systems. Weight per Gallon: 10.2 lbs. 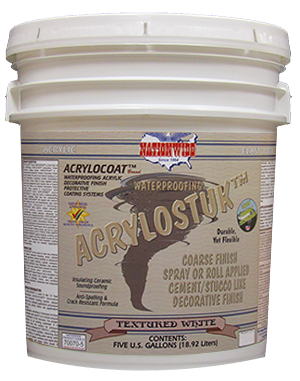 Elastomeric Waterproofing Insulating Ceramic Matte Finish 20 Year Warranty Wall Coating Acrylocoat™ Finish Coat. Commercial Grade.